George Todman was an early resident of Strathfield. Though he died in 1924, his name is still prominent in Strathfield as Todman Avenue and Todman Reserve are named for him. HEYDE, TODMAN, AND CO., Importers and Tobacco Merchants, 51 York Street. The business of which these gentlemen are the proprietors was established in 1875, and is a wholesale house of great importance. The firm are connected with the leading tobacco manufacturers in Richmond, Virginia, and are the agents for the most prominent manufacturers of cigars in Havana, Island of Cuba, from which places the choicest brands of tobacco and cigars are constantly imported by them. Representatives are always visiting the Australian colonies as well as the mother colony of New South Wales to enable the firm to freely disseminate their importations. William Von Der Heyde was born in Germany, his partner George Frederick Todman, being a native of London. Todman and Heyde built large mansions in Albert Rd called ‘Milroy’ and ‘Elwood House’ respectively. Both have been demolished and Strathfield Girls High is built on this site. Both houses were much photographed and subject of many contemporary articles. The partnership between Heyde and Todman, however, came to an abrupt halt with the early death of Wilheim von der Heyde in 1896. Todman was noted for his community and philanthropic involvements, particularly in Strathfield. He was a Congregationalist and partly financed the building of the Homebush-Strathfield Congregational Church [now Sydney Korean Parish] on the corner of Albert and Homebush Roads. His son-in-law architect Charles Slatyer, the son of a Congregational Minister, was Secretary of this Church for many years. Examples of his many acts of philanthropy are noted in his obituary in the Sydney Morning Herald [which is reproduced in this newsletter] including the building of the Mildred Hope Todman Wing of the Western Suburbs Cottage Hospital at Burwood Heights, dedicated to his daughter who died at a young age. Todman was also active in land and property development in Strathfield and other areas of Sydney, most notably Kensington, where he developed the Todman estate. Todman Avenue in Kensington is named for him. George Todman’s obituary notes that he was not involved in local government. Todman himself never served in an elected capacity on Strathfield, however both his son Charles Todman and son-in-law Walter Buzacott served as Aldermen. However, it is apparent that Todman occupied an influential position in local community matters. Most of Todman’s children settled in Strathfield and many of their houses were designed by Todman’s son-in-law, architect Charles Slatyer. A previous newsletter stated that Todman reputedly financed and built residences upon their marriages. Charles Ingram Todman [d.1958] lived at ‘Virginia’ Redmyre Road Strathfield. Todman was a merchant and served on Strathfield Council as an Alderman. His wife Phyllis died in 1986. ‘Virginia’ was later the home of Australian Prime Minister Frank Forde from 1937 to 1946. Gladys Todman [d.1963] married Dr Reginald Whiteman [d.1953]. They built ‘Cheriton’ 18-20 Kingsland Rd Strathfield. Mildred Hope Todman [1881-1922] married Walter Verney Buzacott [1877-1950]. Buzacott was the son of Walter Sewell Buzacott [d.1916] of ‘Buzacott’s’, a prominent ships chandlery and hardware firm. The Buzacott’s built and lived at ‘Winkurra’ 15 Florence Street Strathfield. Elsie Todman [1877-1947] married architect Charles Henry Slatyer [d.1919] and built ‘Carminya’ 25 Homebush Road Strathfield. Dorothy Todman [1893-?] married Arnold Mullens and built the house ‘Inglethorpe’ Redmyre Road, which was designed by Charles Slatyer. George Todman Obituary – Sydney Morning Herald 9 August 1924, page 6. A leading personality in the business world of the city was removed by the death of Mr George Frederick Todman, which occurred yesterday at his residence, Milroy Strathfield. The late Mr Todman who was 72 years of age, arrived in Sydney from London, where he was born, when a boy and in many directions he was associated with the remarkable growth of the city during the intervening years. As a boy he entered the tobacco business, becoming an employee of Messrs Sutton and Co., George Street. It was there that he gained his first experience and his business acumen was such that with the passing of the years he rose to be a director of the British-Australasian Tobacco Company Proprietary Limited, a position he held at the time of his death. He remained with Messrs Sutton and Co for some years and in 1875 he entered into partnership with the late Mr William Heyde, father of the present manager of Messrs WD and HO Wills, and Mr Todman became managing director of that firm. Later he retired from the active managership and became a director of the British-Australasian Tobacco Co. Proprietary Ltd. He had many other business interests and was also a director of the Australian Bank of Commerce and Australian Paper and Pulp Co. Ltd, which has its head office in Melbourne. It was this company that acquired the business of the Sydney Paper Mills at Botany. Mr Todman’s activities outside the business concerns with which he was associated were not of an extensive nature. He was of retiring disposition – a man who inevitably shunned publicity of any kind. He entertained extensively in his own home an intimate circle of friends, and was regarded as an ideal host. He never sought political honours, nor was he at any time directly associated with municipal government. He was a member of the New South Wales Club, but sporting organisations seemed to have had little appeal for him. At one time he was a bowler, but he did not take enthusiastically even to that part time. He was, however, fond of motoring, and had a magnificent week-end home at Port Hacking. It will be for his munificent gifts for hospitals that Mr Todman’s memory will live but the full extent of his generosity in that connection will never be known, as so many of his substantial gifts were made anonymously. His known gifts include £20,000 for the erection of a new wing at the Western Suburbs Cottage Hospital, upwards of £5000 for the Children’s Hospital, £2000 for the Queen Victoria’s Home for Consumptives and, recently £1000 for the Herbert Maitland Memorial at the Sydney Hospital. Not long ago, in England, he contributed £10,000 for cancer research. His keen interest in hospitals and the care of the sick was a notable trait in his character. 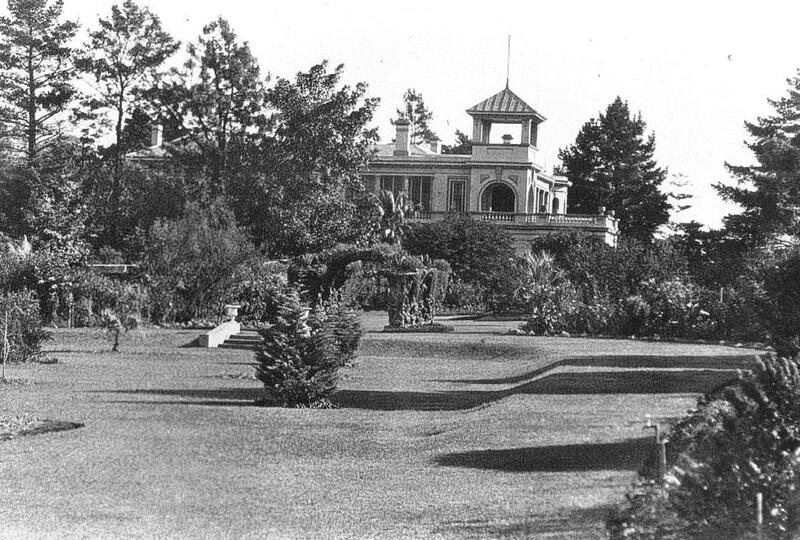 As was natural for a man of Mr. Todman’s business capacity, he had dealings in real estate, and his purchase many years ago, of what is known as the Kensington Estate, an extensive area between the Kensington and Victoria Park racecourses, he displayed remarkable foresight, and exhibited the faith he had in the future growth of Sydney. Todman Avenue runs through the estate, the purchase of which constituted one of the largest land deals in Sydney for many years. Practically the whole of the estate has now been sold, portion of it to the tobacco companies which erected big factories there. Mr Todman lived in the same house at Strathfield for over 40 years. He had been identified with the Homebush Congregational Church ever since it was founded 35 years ago, and was its greatest benefactor. His gifts to the church include an organ at a cost of £750, and in other directions he has assisted it generously. He had travelled a great deal, having visited Europe on several occasions. Mr Todman leaves a widow, a daughter of the late Mr W Moore, storekeeper of Armidale, two sons and five daughters. The sons are Messrs C I Todman and R J Todman, both are whom connected with the Australian Paper and Pulp Company, the former being a resident director in Melbourne. The daughters are Mesdames Charles H Slatyer, R J Whiteman, R Francis, Arnold Mullins, and J Curruthers, all of Sydney. Another daughter, whose death occurred some time ago, was the wife of Mr W Buzacott. The funeral will leave for the late residence of the deceased, Milroy, Albert Road, Strathfield at 10.15 and will proceed by motor service to the Congregational section of the Rookwood Cemetery. Is there any confirmation that Carminya 25 Homebush Rd Strathfield operated as a private hospital ie maternity ward approx 1950-59? I don’t know. I’ll see what I can find but many older houses have had histories as hostels, hospitals, boarding houses etc, so it is not impossible. Maybe someone else has some further information?